Flobot is software for electricians. Service software to improve every aspect of your business. Taking customer's details, sending electricians to customers, sending quotes, estimates and invoices to clients - and even taking payments. It does it all because it was built to run an electrical company. Getting the right engineer to the right job at the right time is half the battle. Flobot allows yout to schedule multiple engineers to any location, and only allow you to select the right engineer with the right skill-set for the job. Or even a preferred engineer for a particular type of job. And it works just as well fro an electrical company with 100 electricians as it does for a one man band. You've finished replacing the transformers, so why not take an instant payment from your happy customer? That way you don't have to go home, create and send an invoice and chase for payment at the end of the month - and neither do the office admin staff. You can quickly build professional quotes and estimates for your potential customers. And what's just as important is to monitor and manage those quotations so you can chase them up for business. Flobot even tells you when they've looked at your quote. You might have one client with multiple sites or you might have multiple clients with multiple sites. You might have both. It doesn't matter. 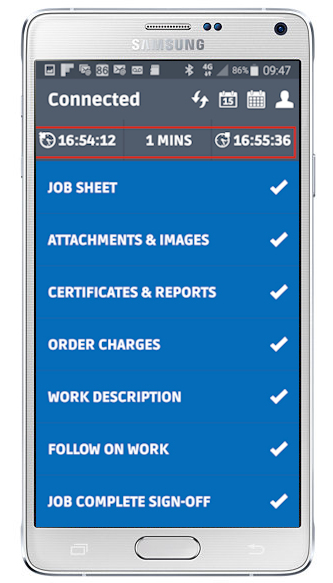 Flobot makes it easy to create jobs and invoices for large clients and individual domestic customers. The electrical re-wiring project is complete and now is the time to get a signature from your customer to say they are happy with everything. That is really important for payments and invoicing. Flobot allows you to get a signature from your client into the system through a smart phone or tablet and now you have a permanent record - and no paperwork. It's called an e-sheet. 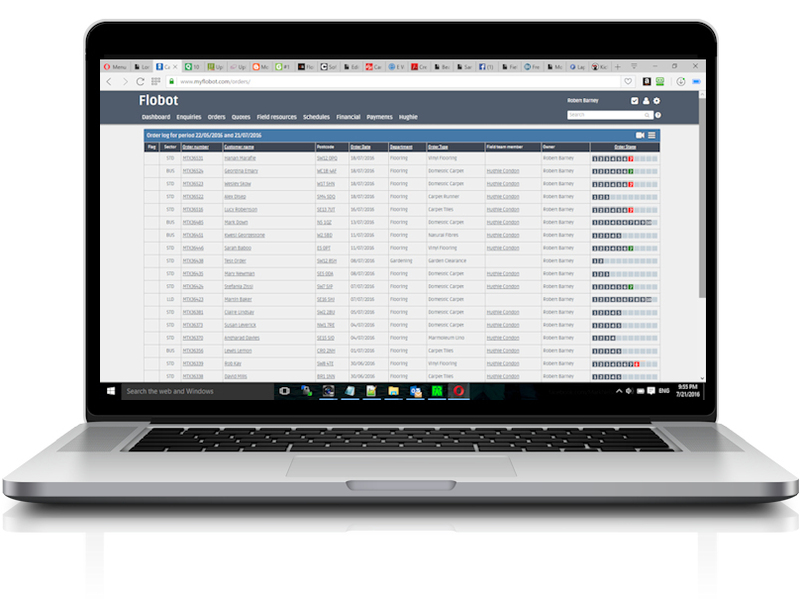 We use Flobot to manage our electrical business and it works brilliantly for us.